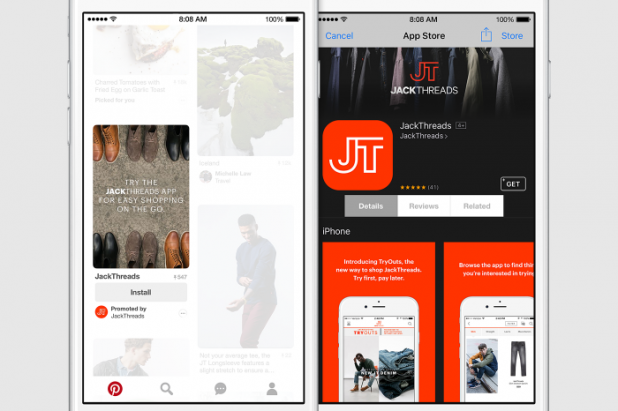 Pinterest has recently announced three innovative ways to advertise product or services on its platform: One-Tap, Video Pins and app Promoted Pins. Please find below the new pin line-up options. With the option for one-tap Pin in your feed, you will be taken directly to the site it came from. Video Pins will be available for viewing right on Pinterest. So you don't have to click a link to take you to another site to watch the video. There is also a selection of ideas related to the video to give you more product and information options. Lastly, with the option Promoted app Pins that “make it easier for you to find out about the apps and app-makers you want to hear about most.” The pins are directly linked to the store so you can download the app for immediate use.